My new love and inspiration of the week. A radical house, within a residential district in Tokyo, by the Japanese architect Sou Foujimoto. 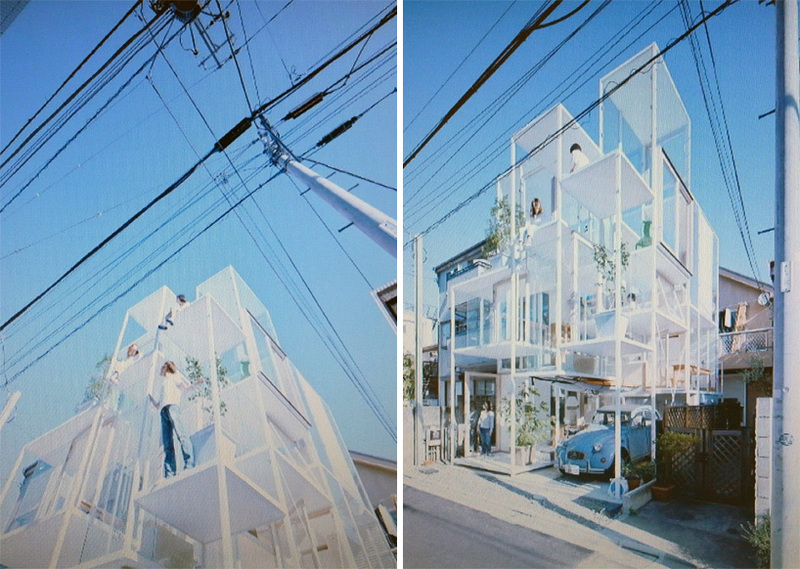 My fascination with Japanese architecture started as a young student of architecture. The simplicity /clarity of ideas, the attention to details and their love of crafting models are some of the obsessions which I share as well. This Japanese obsession resulted in a month long solo trip to Japan in 2009. Through that trip I visited different corners of this wonderful country. 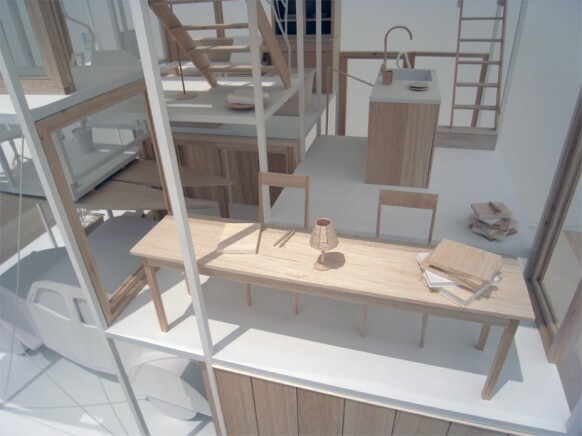 Ultimately, I hoped to land an internship in an international firm such as Sou Fujimoto. After a couple of interviews , including one at Sou Fujimoto, I opted to not stay. In short the reason was simply that I wanted to get paid for me work. The request seems legit to most, but was ”rare” when working in an ”starchitect” firm. I love their architecture, but uncertain about working for them. 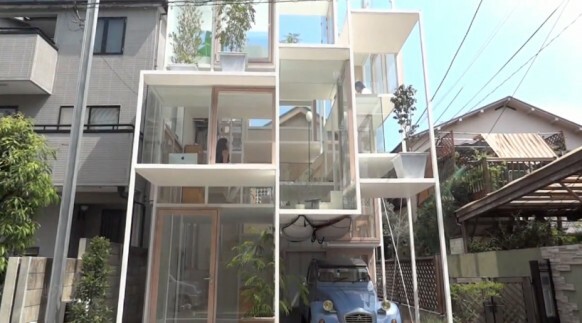 The house NA , means NAked house to me. So naked that I am would feel uncomfortable to live in. 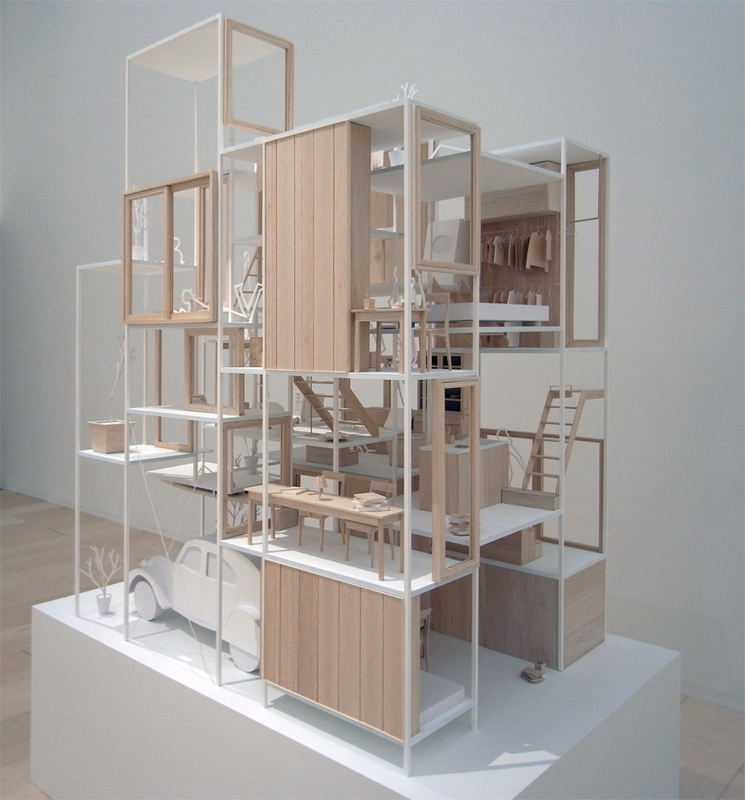 hehehe… Personally, it reminds me of a new take on the “nakedness”of Farnsworth house by Mies VanDer Rohe. 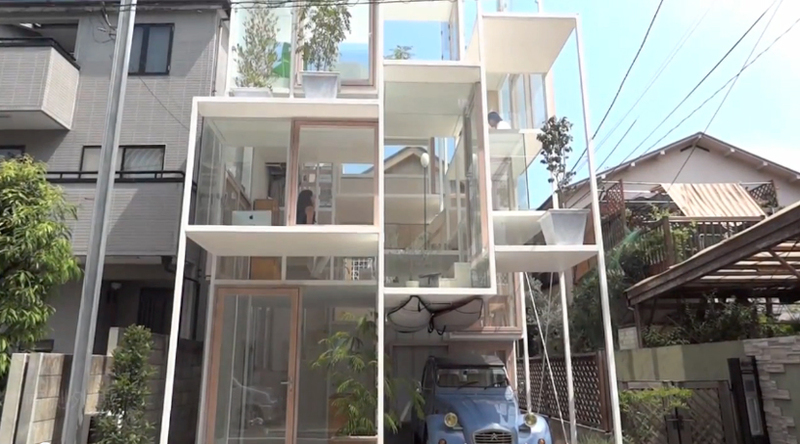 The house NA is a single family dwelling, similar in form to a stacked pile of boxes. The internal areas generated by the exterior appearance are set at different elevations. 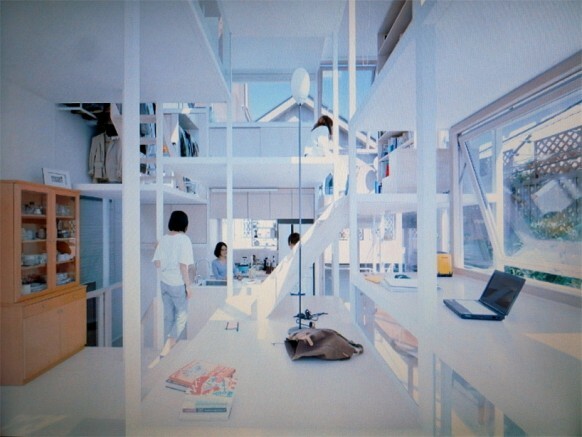 The small rooms within each platform are connected by ladder stairs allowing a free movement through the home’s loosely defined program. The rectangular windows of varied proportions and sizes frame views of adjacent structures while the elimination of solid interior walls encourage unobstructed sight lines to higher and lower spaces. at night, curtains become temporary partitions for privacy and separation. 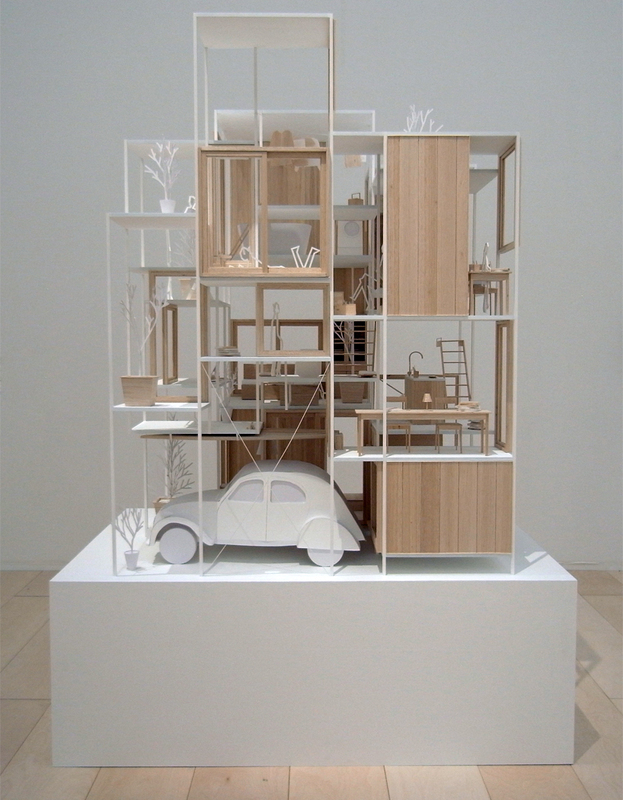 The Physical model was what initiated my desire to become an architect as a young girl. Models were crafted toys to me. 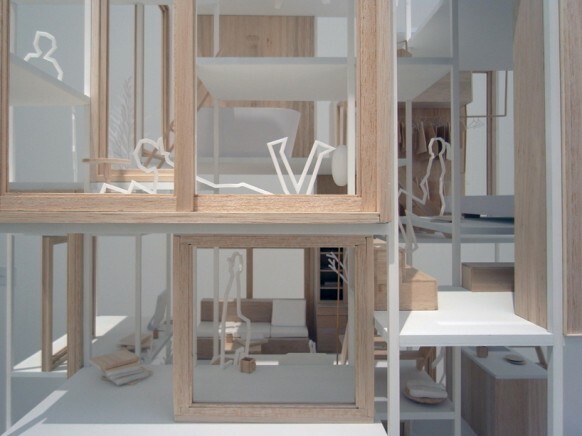 For me , the model is the ultimate tool of communication for architecture. The model couldn’t lie . 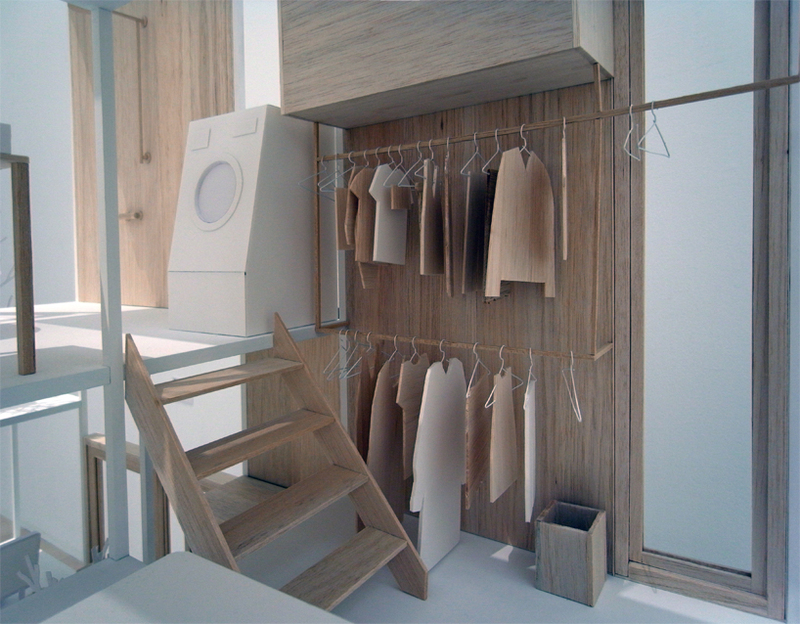 As my first internship, I opted for making models for 4 months during in Taiwan, summer 2006. The obsession and craftsmanship of the Asians were beyond anything I have witnessed in North America. Here’s a video tour of the house!